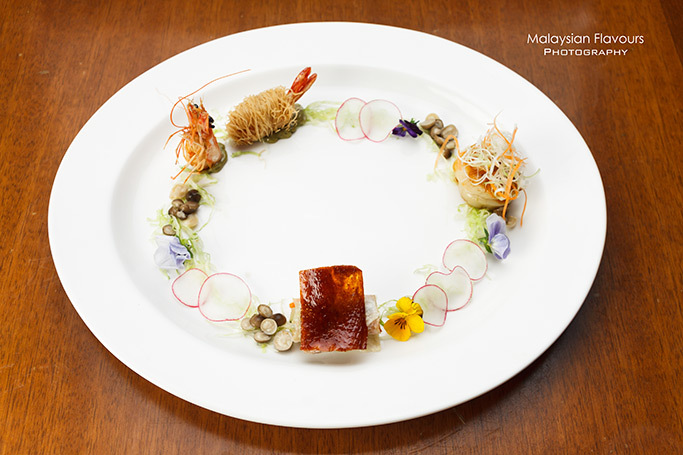 Being a faithful participant for Malaysia International Gourmet Festival (MIGF), Dynasty Chinese Restaurant from Renaissance Kuala Lumpur Hotel has been constantly delivering impressive festival menu for MIGF every year, with no lack of award-winning dishes by Chef Kok Chee Kin. 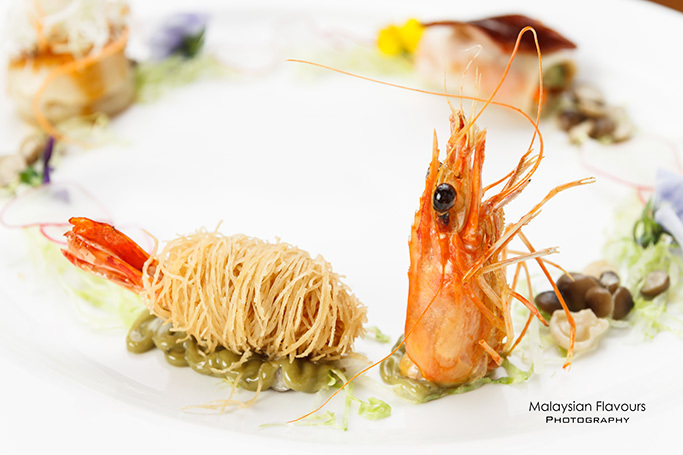 This year, Chef Kok continues MIGF 2014 journey for the newly revamped Dynasty Chinese Restaurant with a series of fine, delicate Chinese cuisine that highlight Asian simplicity with a touch of modern creativity, surprises diners’ palate with outstanding dishes like Pan-fried Dragon Beard Prawns with Green Tea, Chilled Organic Pumpkin Puree with Sago and Bird’s Nest, Coconut Ice Cream, etc.. Begin the Festival meal with trio happiness, an appetizer that combines multi-flavours and texture to open up the appetite: Mouthful of crispiness from deep-fried to golden brown noodles enveloping fresh prawns, layered with creamy green tea sauce; Crispy skin of Peking Duck rolled within flat sheet lightly brushed with savoury sweet brown gravy, chewy entirely; Pan-seared scallop that delivers mild burnt aroma at the outer layer, deeply locked with juiciness inside. All beautifully decorated with petite, adorable mushroom to sum up to a wreath-like starter. Continue the meal with a bowlful of thick, rich in flavour consomme, graciouly loaded with gelatinuous goodness released from the long hours boiling of fish maw, balanced up with white and summer greens, luxcious added with a faint hint of herb bitterness from ginseng. 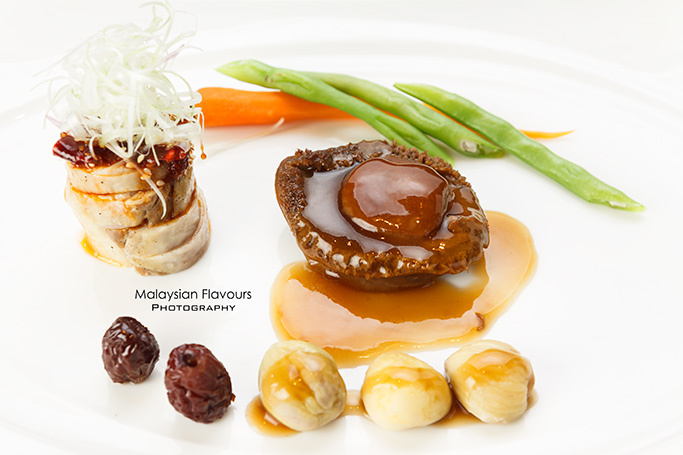 We can hardly deny the luxurious of this dish, when it features whole abalone showered in flavourful sauce, sided with drunken chicken timbale that clocks in succulent munch, dotted with chestnuts and fruits Jujubes. Apparently, this main course from Dynasty seems pale compared to the previous but still noteworthy, presenting Chinese old-school comfort food in a new way. 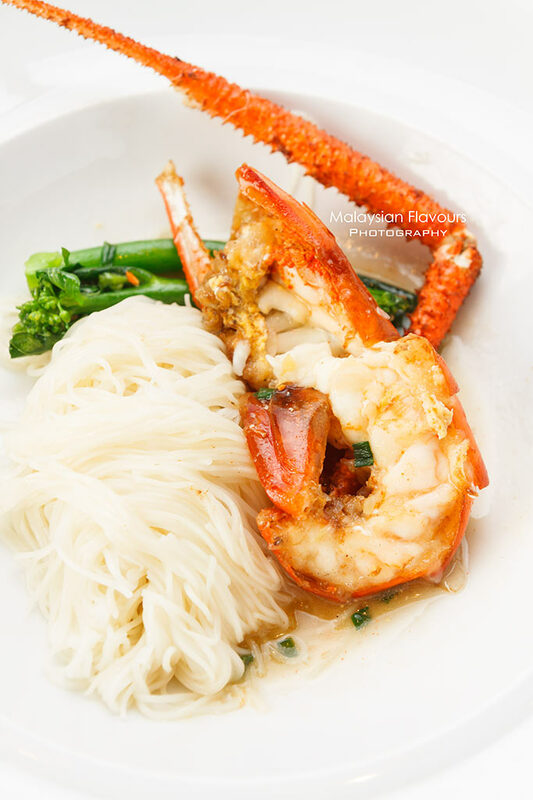 Aside from the bouncy steamed prawns, the wheat vermicelli which fully soaked up with sweetness and umami rendered by king prawns, alongside with fragrance of Chinese wine, steal the limelight of this dish too. 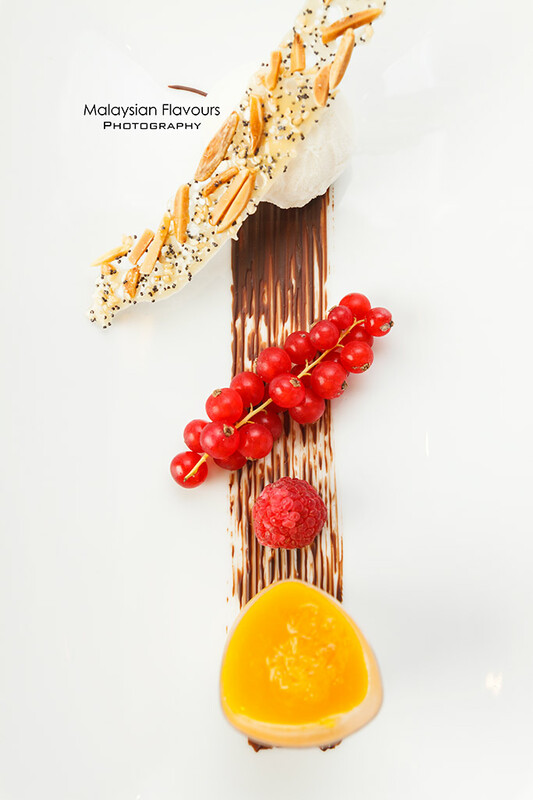 End the meal with innovative dessert specially crafted by Chef Kok, combining local favourites with modern Chinese essence. 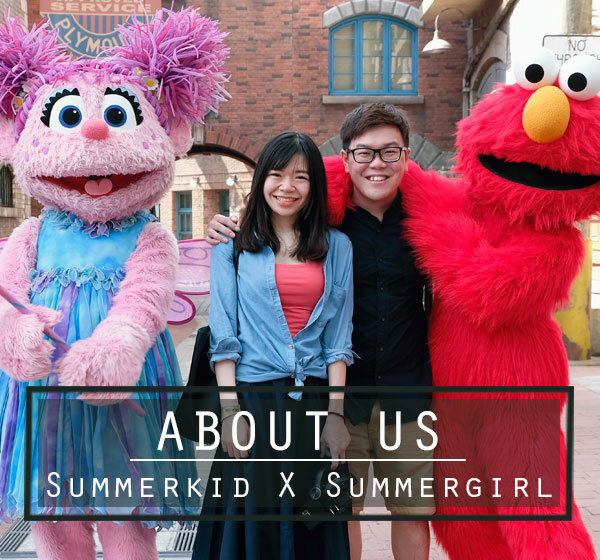 Organic pumpkin is blended into velvety smooth consistency, chilled and mix with sago, topped with bird nest to form a light, clean flavours; while the coconut ice cream is made in-house, paired with thin, crispy, stick sweet nut candy that marriage well. 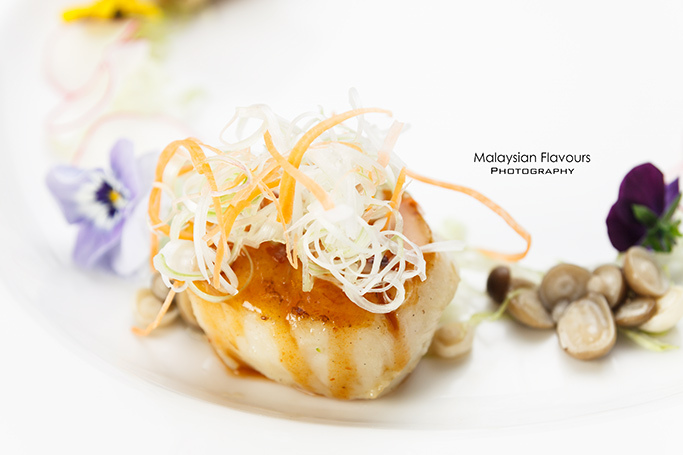 For Full Festive Menu, it is priced at RM238++ per pax with 2 glasses of wine, RM188++ per person without wine. 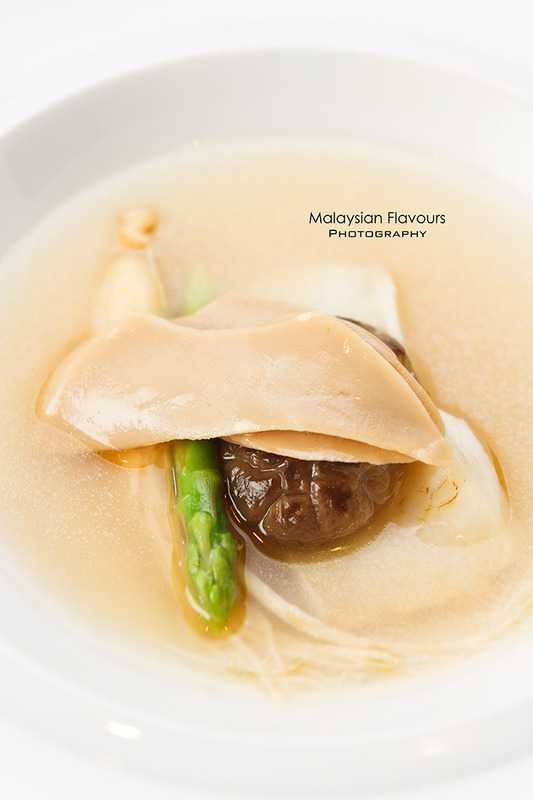 For light menu, which included a choice of soup/appetizer + one main course + dessert + coffee/tea, is priced at RM198++ per person with 2 glasses of wine, RM148++ per person without wine. 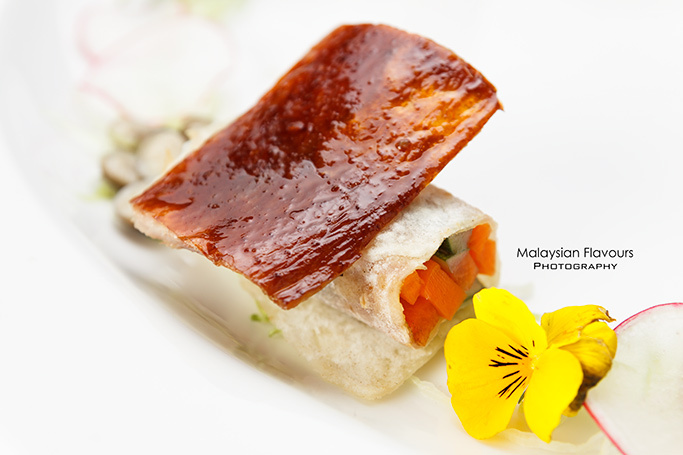 Book it now at Dynasty Chinese Restaurant, Renaissance Kuala Lumpur Hotel and enjoy your MIGF Special Festival Menu from 1st to 31st October 2014. For the Light Festival Menu, guests get a choice of either soup or appetizer, one main course, dessert and coffee/tea.